VITA-free TAX PREPARATION Opens Today! 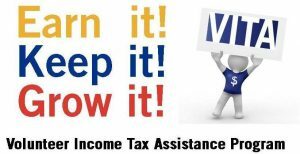 - Self Help Inc.
VITA-free TAX PREPARATION Opens Today! The Self Help Inc.’s FREE TAX PREPARATION service begins TODAY! !